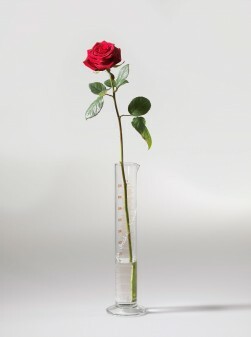 Joseph Beuys. Appeal for an Alternative. | Ich bin ein Sender. Ich strahle aus! | I am a sender. I transmit! 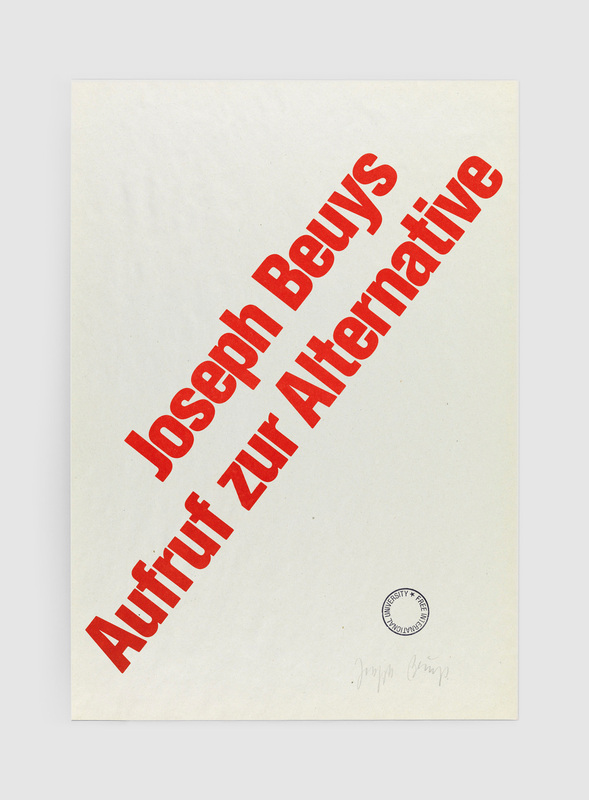 Joseph Beuys. Appeal for an Alternative. This double-sided poster on newsprint was produced by the Free International University (F. I. U. 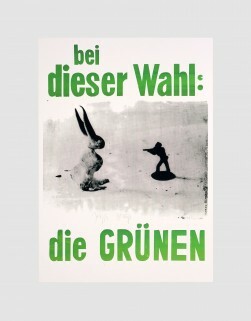 ), an open university co-founded by Beuys in Düsseldorf in 1973. 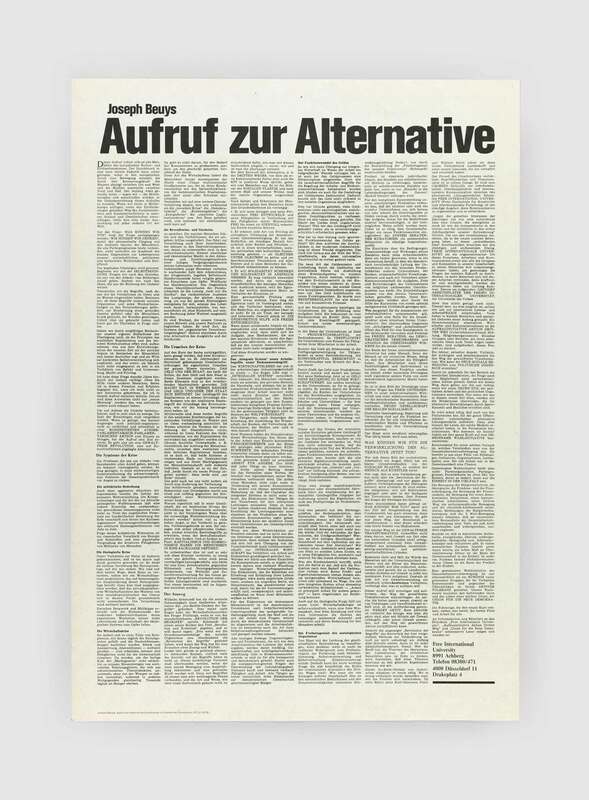 On its front face it bears the title of a manifesto, entitled ‘Appeal for an Alternative,’ that Beuys published in the Frankfurter Rundschau newspaper on December 23rd, 1978. 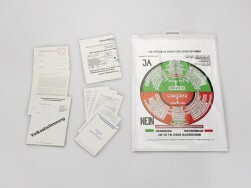 Printed on its rear face is the text of the manifesto, which outlines Beuys’s vision for a new society, governed in accordance with the socialist principles of freedom, equality and brotherhood. Among the sweeping changes for which the manifesto calls are the abolition of communism and capitalism, a new approach to work and production, and the adoption of a new financial system.